For many healthcare organizations, industry transformation requires re-examining previously crafted strategies and plans. Veralon has the experience and expertise to support your healthcare organization in creating a powerful and effective strategy for a transforming healthcare market. Healthcare strategic planning has been a core service for Veralon and its predecessor firms for 20 years. We have helped more than 700 health systems, academic medical centers, hospitals, provider networks, and specialty organizations develop strategies, grounded in a shared understanding of the organization’s mission, vision, and strategic goals. We “wrote the book” on healthcare strategy. Our senior staff has been providing training on strategic planning for the ACHE for years. We have the agility to respond to new needs that emerge during the planning process. Our recommendations provide the flexibility needed to allow for the inevitable changes in market and opportunities that occur during implementation. Independence or merger? Health care organizations in crowded markets may need to contemplate affiliation strategies and carefully assess the benefits, risks, and long-term commitment to integration that these choices bring. System integration: For healthcare systems, real integration – not just having all the parts of the care continuum, but knitting them together to serve patients effectively – often remains a critical strategic imperative. Veralon has the expertise to help health systems function in a more integrated fashion to deliver patient focused care and maximize value for payers. Value-based care: Whether responding to payer initiatives or bringing initiatives to payers, healthcare organizations need to determine what their strategies should be with regard to ACO development, PHO development, clinical integration, and value-based payment. Physician engagement: Pursuit of value-based care initiatives, system integration, and clinical care initiatives will falter if the fundamental relationship between physicians and hospitals is on shaky ground. Health systems and hospitals need to have effective ways of engaging their independent physicians, and of optimizing the performance of their employed physician enterprise. Clinical programs/service lines: Hospitals and health systems have to plan for the overall inpatient and outpatient resources that will be required to serve their targeted population, in an environment of clinical transformation and value-based care, and to identify initial areas of service line and ambulatory care priority. 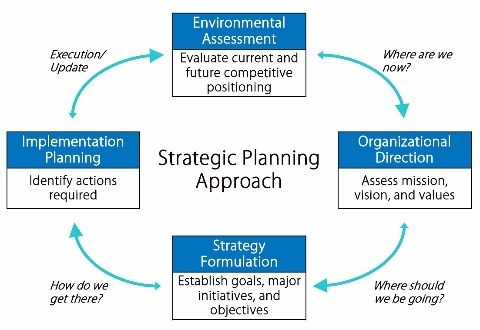 By involving organizational leaders who will be responsible for plan execution throughout our strategic planning process, we assure that ownership is established and momentum is sustained during the critical transition from planning to action.